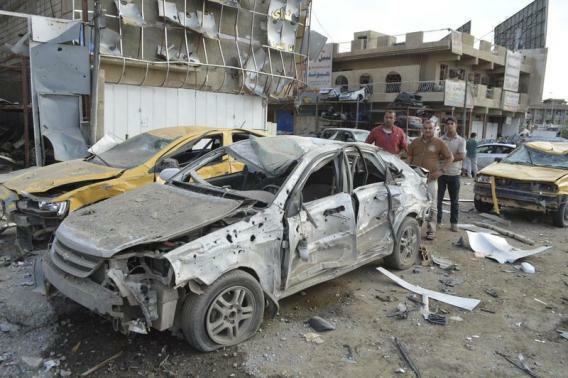 (Reuters) – Bombings and a mortar strike in Shi’ite Muslim parts of Baghdad and in the rural belt south of the capital killed at least 47 people on Thursday and wounded 123, police and medical officials said. An Iraqi Shi’ite political figure said the assaults, part of a surge of violence in Shi’ite neighbourhoods in recent weeks, were revenge attacks by the Sunni Muslim militant group Islamic State, which has seized control of much of northern Iraq. The al Qaeda offshoot has been battling Shi’ite militias and soldiers loyal to Iraq’s Shi’ite-led government as it attempts to establish a caliphate straddling Iraq and neighbouring Syria, where it has also captured swathes of territory.